Undo losing trades within an hour for a small fee. One of the highest rated customer support service in the industry. Never be caught off-guard and automate your trading, lock in the level you want to exit your trade - free for all easyMarkets customers. 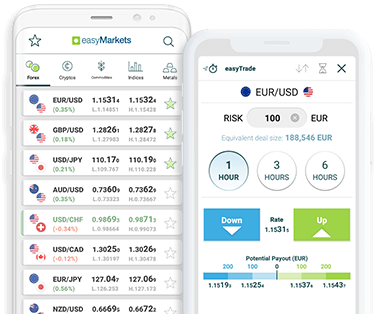 easyMarkets guarantees that your stop loss or take profit rates will be met, ensuring you will never surpass the level of risk you are comfortable with. 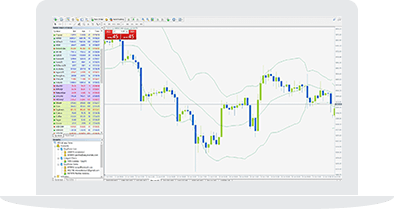 Advanced analysis and EAs help you automate and optimize your trading. Spreads that never change - no matter how volatile the market is. Please check your email (including spam) for your username and password. 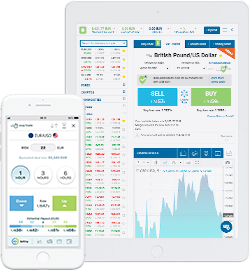 One platform, 200+ markets and all the tools needed in one fast, friendly interface. Fully featured, accessible and user-friendly. Available on both iOS and Android. One of the most popular platform with easyMarkets innovative products, tools and service. 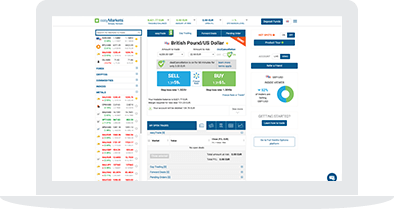 Buy and sell any financial instrument as a day (spot) trade with transparent pricing and no hidden fees. Choose a future market rate and capture the deal with a pending order. Cancel at any time for free. Trade on your laptop, your PC, your smart phone or tablet. This means you can trade anywhere you have an internet connection in the café, the University cafeteria or even your back yard. easyMarkets is always with you – upgrade to VIP and place a trade via phone meaning you can literally trade anywhere even without an internet connection.